A celebration of Japanese culture. Pagodas are featured in a number of different religions, most commonly Buddhism. They can be found in many different countries, including Japan. 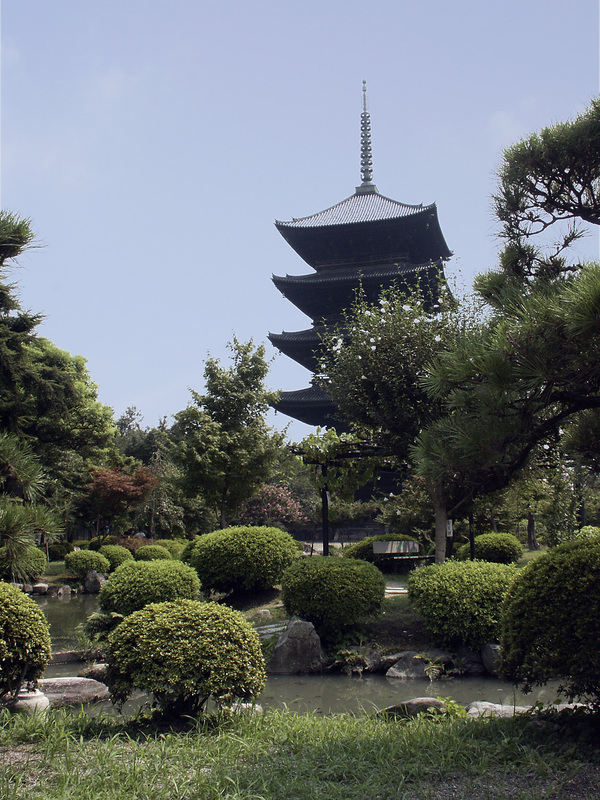 Naturally, this post will focus on Japanese pagodas, or “tō” (塔). In Japan, pagodas can be found at a lot of temples, and even some shrines. They almost always have an odd number of tiers, often three (sanjū-no-tō / 三重塔) or five (gojū-no-tō / 五重塔). They can be decorated in many different ways, from being very plain to very ornate. Pagodas are typically wooden, although there is a kind of stone pagoda, too. I’m going to focus on wooden pagodas in this post. Temple complexes usually have a few different buildings, and the pagoda is often the tallest. At the top of pagodas, you will usually see a pointed part which is usually made from metal. I see this is being like a church spire, but it also acts as a lightning rod to protect the pagoda from lightening damage. 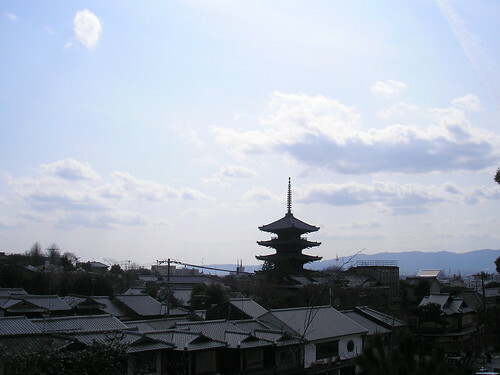 Often the pagoda is the highest structure in an area. Pagodas are also designed so that they shouldn’t fall down if there’s an earthquake. They have a kind of central core which is built deep into the ground, and the pieces of the pagoda are sort of slotted onto that core, giving it a bit of flexibility to move in the event of an earthquake. See this very interesting article in The Economist for more on why so few Japanese pagodas have ever fallen down. 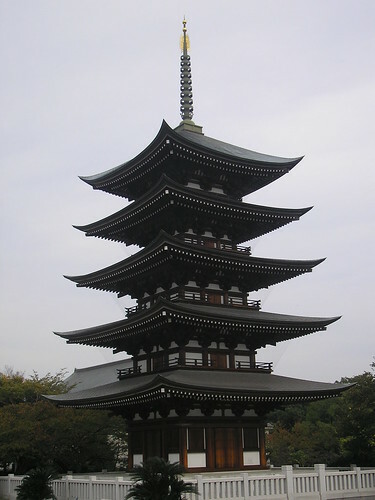 The pagoda was introduced to Japan from China, and was influenced by the Indian stupa. Apparently, “the square shape symbolizes the earth. The centre column is considered the ‘axle of the world’ and the spire on top of the structure represents Buddha as master of the universe. Each level represents one of the five elements: wind, water, earth, fire and sky.“. I don’t know if this is true, but I did also find a mention of the theory here, saying “the stupa was used as an important relic in Buddhism, which has had a great deal of influence in Japan. 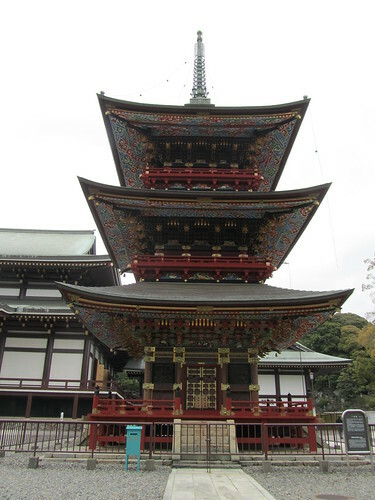 Some of the Buddhist temples that are found in Japan today will feature a pagoda, in particular, one that contains the five tiers. The number of stories is significant in that, as does the stupa, the tiers can represent the five elements, the godai. The godai are as follows: chi (earth), sui (water), ka (fire), fu (wind), and ku (void, sky, or in some cases, heaven). The bottom story of the pagoda will represent earth, working its way up to the top story representing sky. The finial (the spire at the top of the pagoda) is also separated into five sections as well.“. Pagodas are really interesting structures, and you should take time to have a close look at them when you visit Japan. There’s actually a Japanese peace pagoda in London, in Battersea Park, which I’ve been meaning to go and visit. I’ll make sure to write a post about it when I do! Good choice – love these – great photos. Did you take them? Great Post and good choice yet again. To-ji in Kyoto is magnificient and a must see if ever in Kyoto.